The laundry at Chatham, once the domain of Chatham’s slaves. Chatham bubbled in the news the other day when Chance the Rapper won best new artist. One of Chance’s songs, “How Great,” briefly mentions the 1805 uprising of enslaved people at Chatham. We have thus had a few questions. So, I post here a piece I wrote a few years back that sheds light on the uprising. Several years ago, the park’s former superintendent, Russ Smith, found this vivid letter and affidavit at the Central Rappahannock Heritage Center (which has become truly an important repository over the last many years). It, more than anything else we have ever seen, explains the origins and nature of the slave revolt at Chatham on January 2, 1805. By way of context, Chatham was still owned at the time by its builder, William Fitzhugh, but he had removed his residence to Alexandria, leaving supervision of Chatham’s slaves to a new overseer named Starke. Starke had managed to antagonize at least a part of the resident slaves at Chatham, and after the holidays some rose in a spontaneous act of defiance that resulted in death and confusion. One slave died in the battle that followed, and a white man was mortally injured. The affidavit included here was sent by a local Falmouth Resident, William Richards, to Governor John Page, seeking clemency for one of the slaves implicated (and sentenced to hang) in the rebellion–a man named Robin. 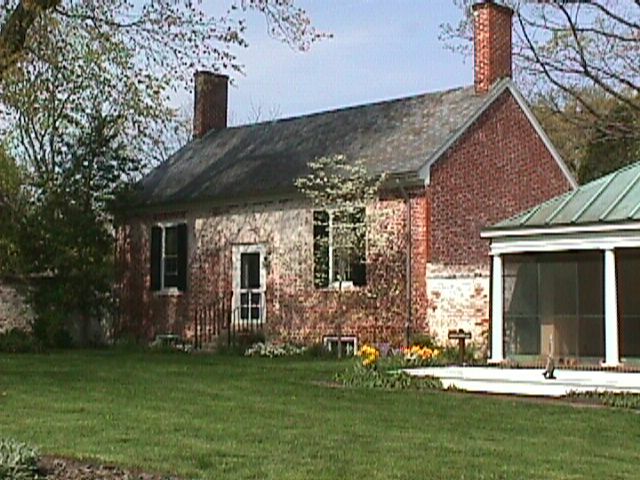 Robin was likely well-known to his owner Fitzhugh as a determined soul; in a 1797 letter Fitzhugh recorded that he “had him whip’d and continue to do whenever he comes” to Chatham (Robin was then likely being employed at Eagle’s Nest, another of Fitzhugh’s plantations in King George County. The request for clemency ultimately worked. Robin was spared, though he was likely deported to the Caribbean. The Chatham slave revolt is one of the few uprisings recorded in the Fredericksburg area, and the only one I know of that resulted in death to either the slaves or their white controllers.